Route4Me’s Route Editor allows you to view your planned routes on the interactive map with aggregated metrics and various tracking options as well as provides multiple adjustments to your planned routes that can be applied in real time. To open a particular route in the Route Editor, first, go to your “Routes List” from the navigation menu. 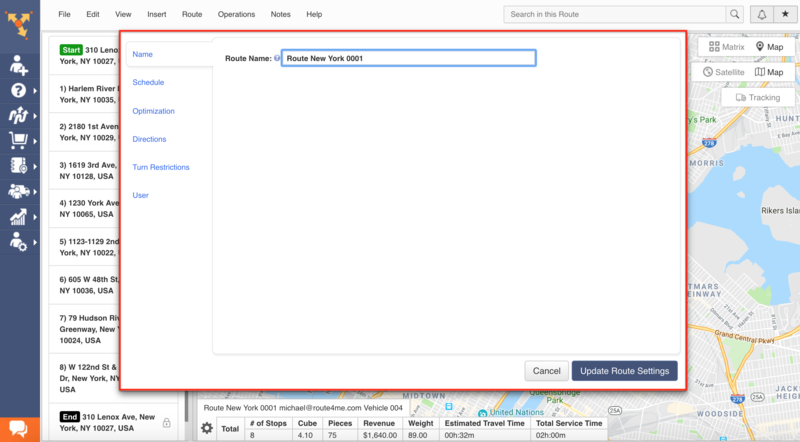 Next, click on the preferred route to open it in the Route Editor. 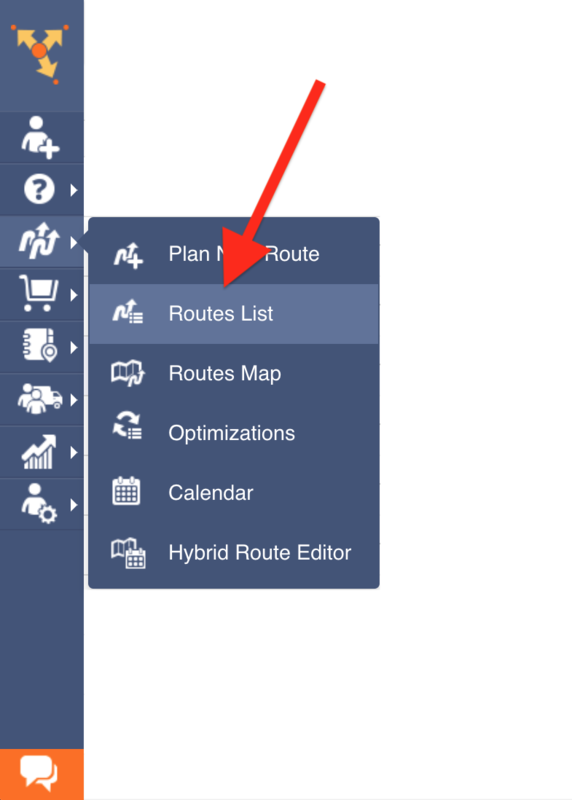 The left section of the Route Editor displays all stops/destinations on the opened route. 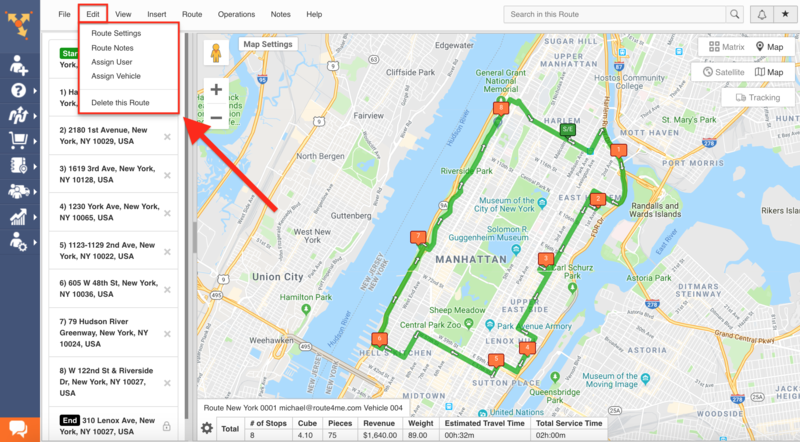 The right section of the Route Editor displays the adjustable interactive map with an overlay of the opened route. The map settings can be adjusted to display the preferred data. The map also provides multiple real-time and simulation tracking features. 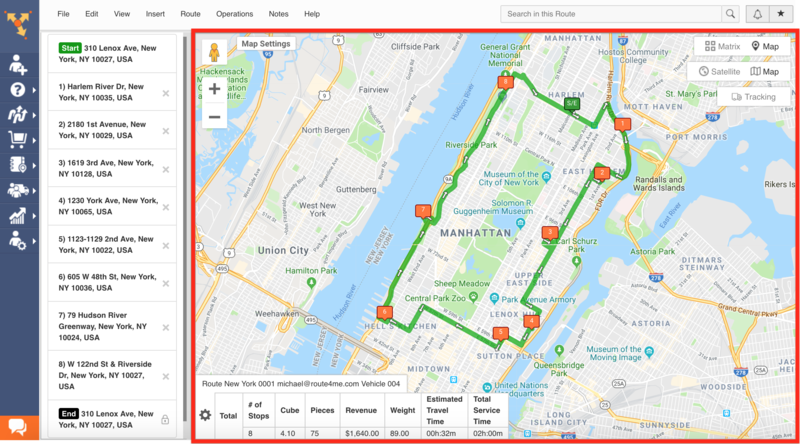 At the bottom of the map, you can find the customizable Summary Table that provides aggregated route metrics. 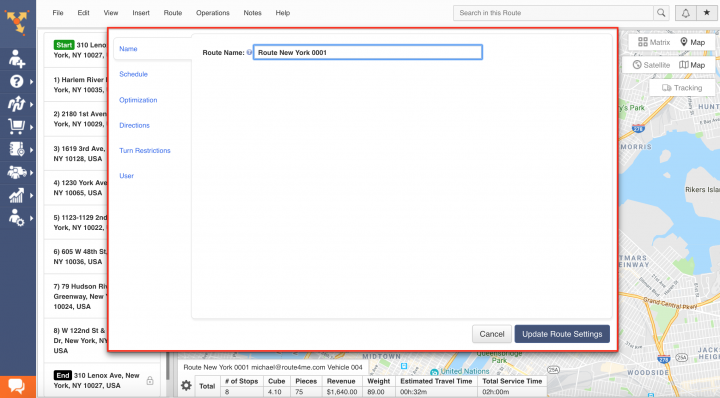 Then, adjust the route’s settings respectively and click “Update Route Settings” to apply the changes. 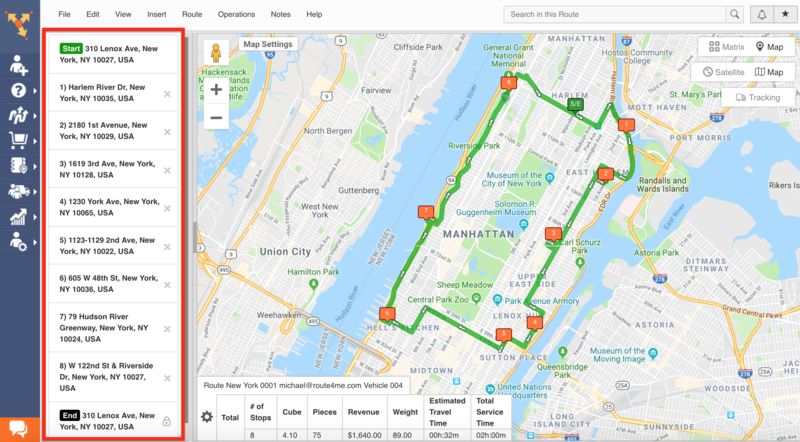 To open a particular stop on the route, click on the corresponding stop on the left side of the Route Editor. Stop’s menu displays all available information about the opened stop in content-grouped sections. 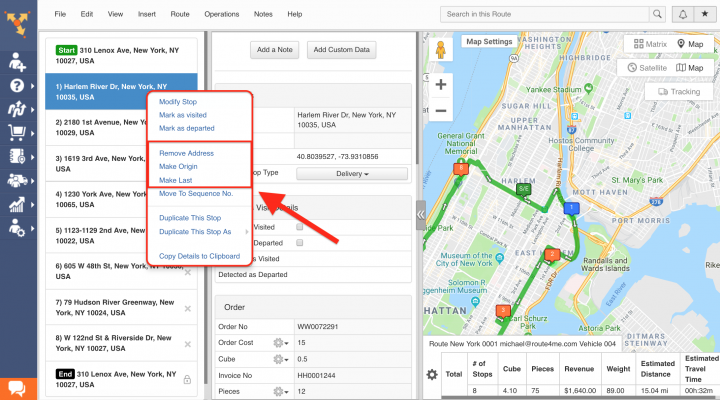 You can modify the information in the editable fields of the stop’s menu in real-time and instantly apply the changes. The opened stop is also highlighted in the blue color on the map. The “Address” section displays editable fields with the address information and stop’s alias as well as the latitude and longitude coordinates of the corresponding stop. The “Address” section also displays the stop’s type that can be adjusted (Delivery, Pickup, Break, Meetup, Visit, Service, Drive-By.). 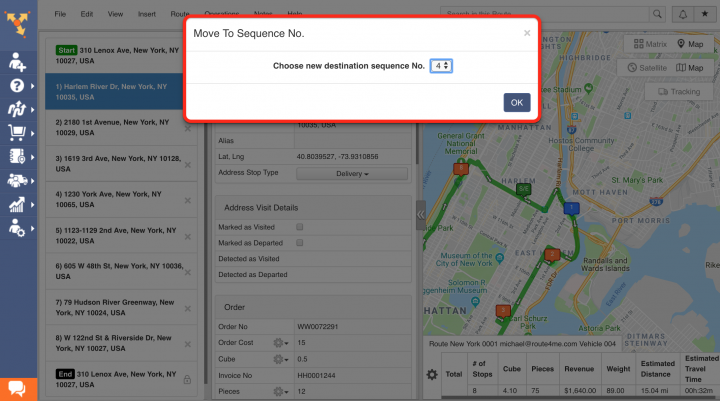 You can modify the content of the “Address” section in real time. – Detected as Departed (not editable): Displays the automatically generated timestamp that is created upon a driver departing from the geofenced area set around the corresponding stop on the route. The “Order” section of the stop displays the main information about the order that is set to be executed upon visiting and servicing the corresponding stop. The items in the “Order” section can be edited in real time. To view the descriptions of the items in the “Order” section, please refer to our Route4Me Glossary. The “Customer” section of the stop displays the available contact information of the prospect associated with the corresponding stop on the route. 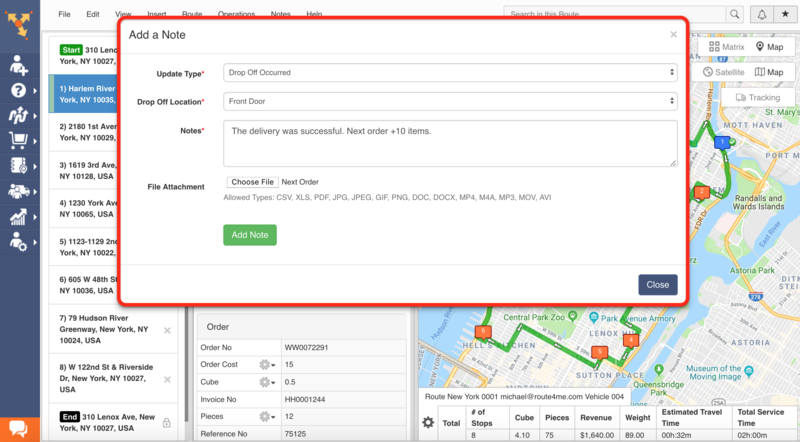 The items in the “Customer” section can be edited in real time. The “Time” section displays the information about the stop’s “Time Windows,” “Service Time,” Marked Time on Site,” and “Detected Time on Site.” Time Windows and Service Time can be edited in real time. – Detected Time on Site (not editable) displays the automatically detected time spent by a driver on site of the corresponding stop on the route (computed based on the time interval between the “Detected as Visited” and “Detected as Departed”). 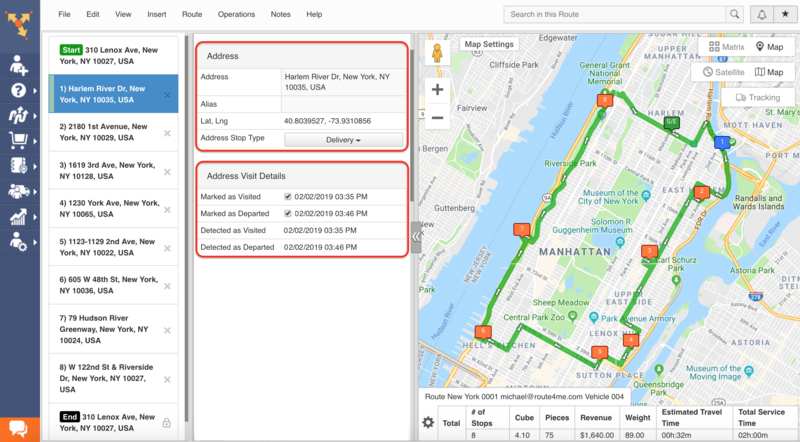 – Actual Departure Time (not editable): This is the time when a driver actually departed from the corresponding stop (based on the geofence data). Notes can contain delivery statuses, descriptive text, uploaded images, captured signatures, etc. Adding notes to stops helps to document important information about performed routing activities and make sure that you are always on the same page with your team members and your customers. To add a note to the stop, click on the corresponding button at the top of the stop’s menu. Fill out the note’s content and click “Add Note” to finish. Please note that the notes menu may differ depending on the custom notes settings. A note icon next to the stop’s address indicates that the corresponding stop has one or multiple attached notes. To view the note(s) attached to the stop, scroll down to the bottom of the stop’s menu. Adding custom data allows attaching additional information that can not be added through the predefined sections/fields. 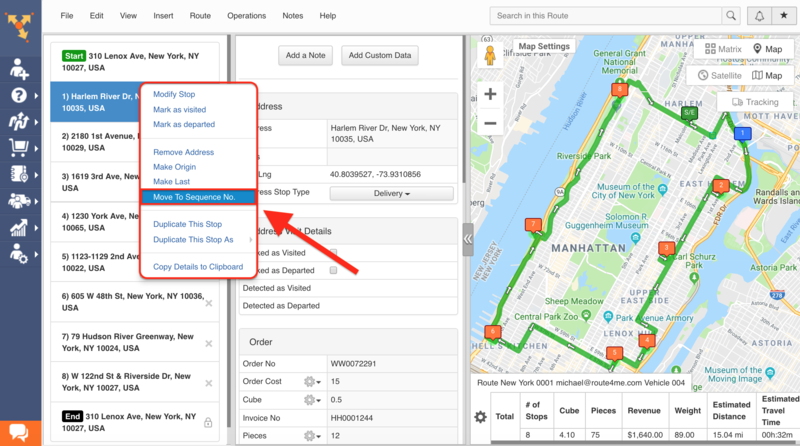 To add custom data to the stop, click on the corresponding button at the top of the stop’s menu. 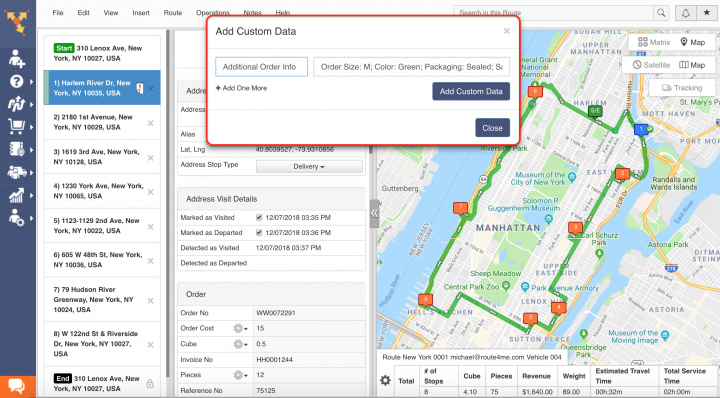 Fill out the corresponding fields with the preferred data and click “Add Custom Data” to finish. To view the custom data added to the stop, scroll down to the bottom of the stop’s menu. 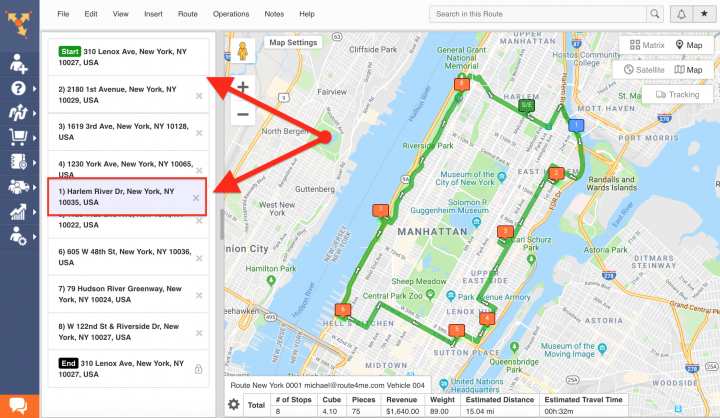 You can easily change the sequence of stops on the route by moving them within the route. You can also move stops from one route to another in real time using the Timeline in the Routes Map. To move a particular stop, click on it and drag it to the preferred sequence position on the route. Then, select the preferred sequence number and click “OK” to finish. You can also easily delete the stop, make the stop origin (the first stop on the route) and make the stop last one on the route. To do so, right-click on the stop and select one of the preferred options.